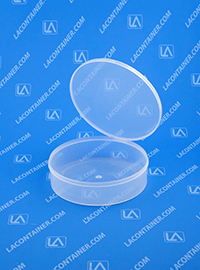 The Lavials® 401000 Large Hinged-Lid Lab Vial features a short cylindrical design that can safely store lab samples due to an air and moisture resistant hinged-lid. 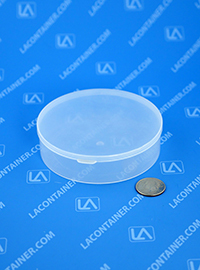 Made in the USA with medical grade polypropylene, the 401000 container can be autoclave sterilized and used to store pharmaceutical, medical, or dental supplies. 4.00" Dia. X 1.00" Ht. 106.30mm Dia. X 28.45mm Ht. 101.60mm Dia. X 25.4mm Ht.